It was overshadowed by iPhone mania, but Apple's iPod Touch is practically as cool as its cousin. It's a fantastic MP3 player that not only plays music and games, but also stores contacts and calendar info. In fact, the Touch does most of the same stuff as the iPhone, minus the calling (and the monthly service and data fees). That makes it a great choice for Blackberry-addicts or anyone else who's happy with their current cell phone, but still wants the iPhone's perks. 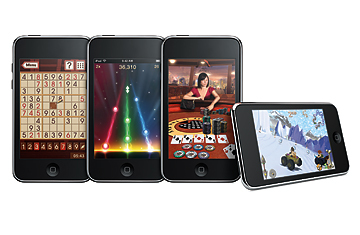 The iPod Touch has Wi-Fi connectivity and can run hundreds of apps and games from Apple's app store. It even has a feature the iPhone lacks: a Nike program that tracks how far you've jogged. Unlike other portable music players with clunky menus, the Touch also makes it easy to sort, find and play your choice of thousands of songs within seconds.